With the support of our adroit professionals, we manufacture our clients a high-quality Nylon Machine Part. Nylon is usually combined with other materials to improve various qualities. For example, filling nylon with glass fibers increases its tensile strength while also making it less flexible and more brittle. 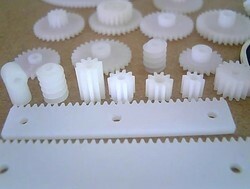 We offer excellent quality of Nylon Machined Component in Ahmedabad, Gujarat. 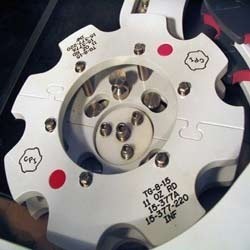 We introduce ourselves as the leading manufacturer of precision-designed Nylon Machine Parts. We are one of the most well-distinguished companies in the market that are into offering Nylon Gattu.